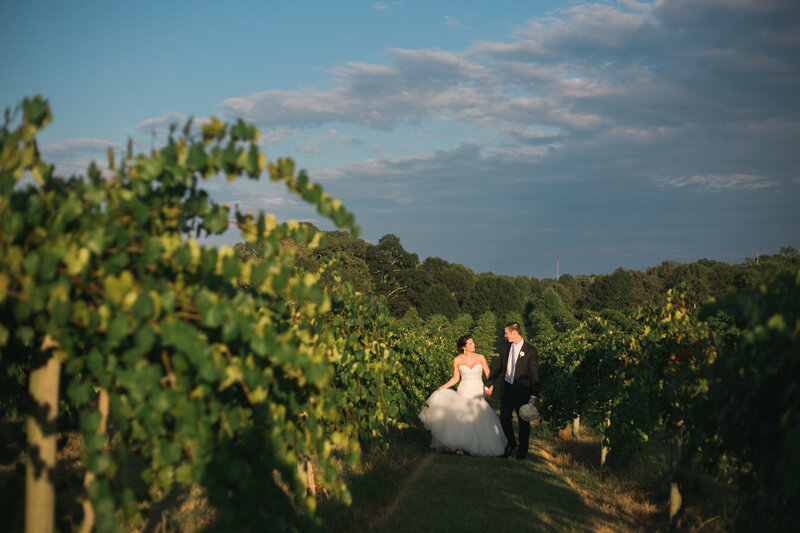 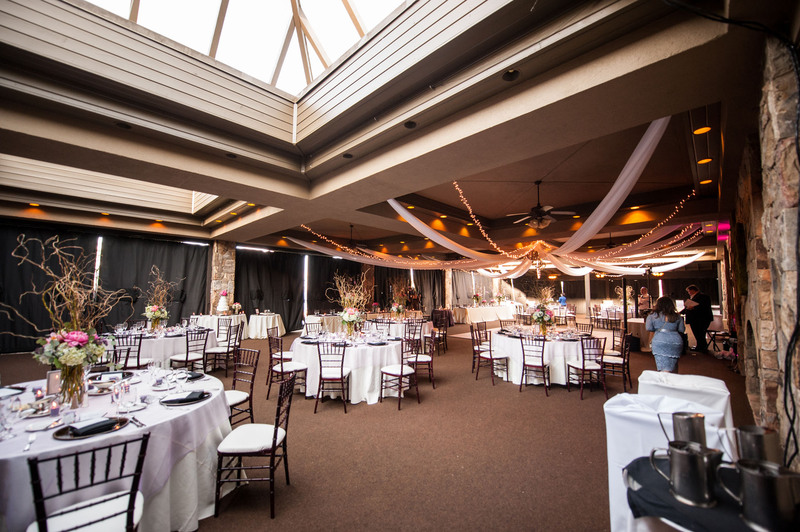 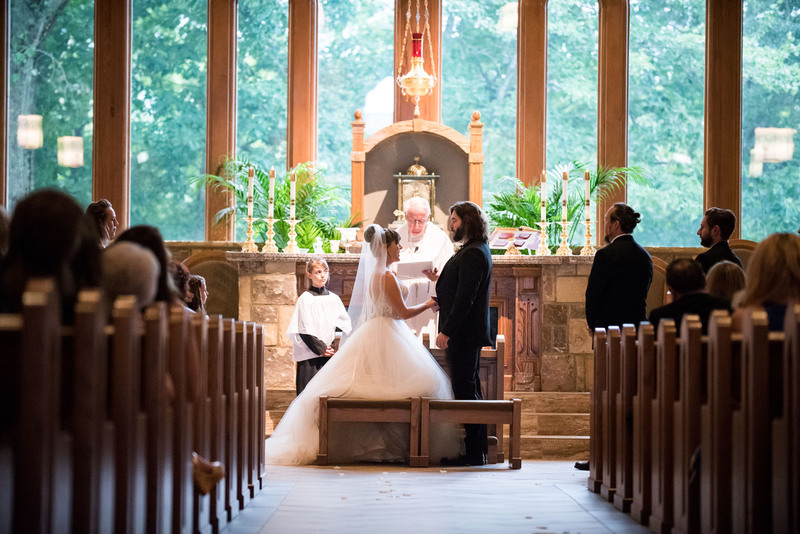 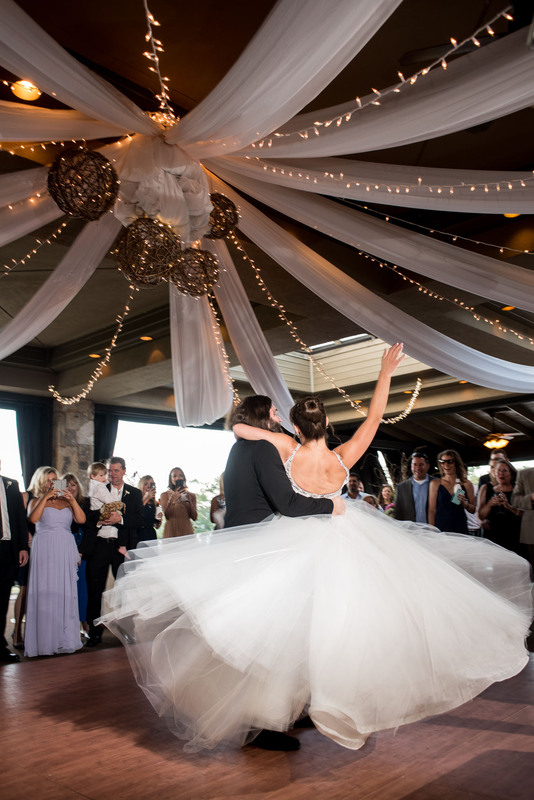 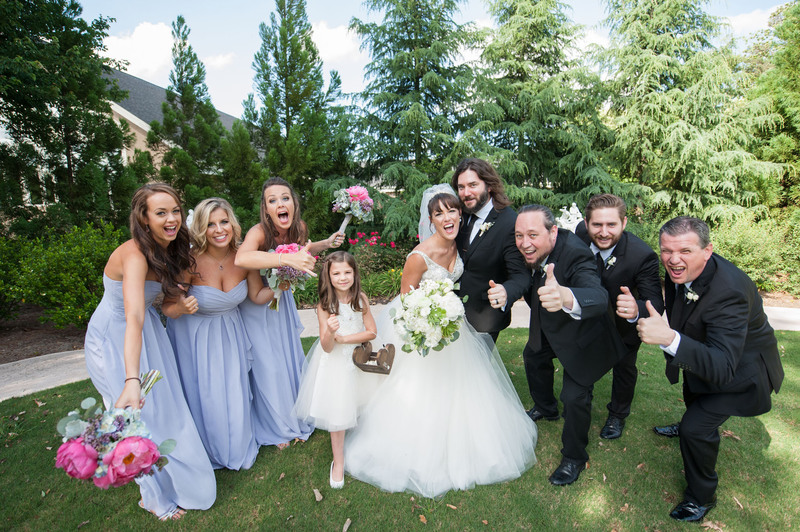 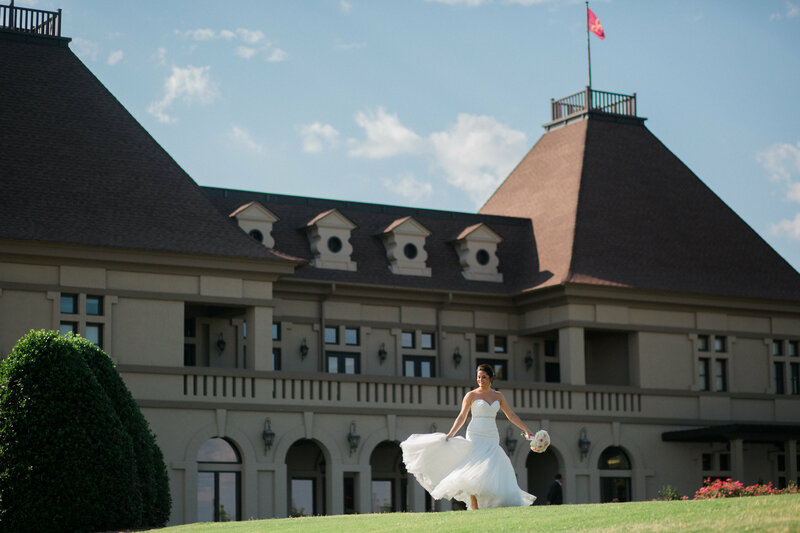 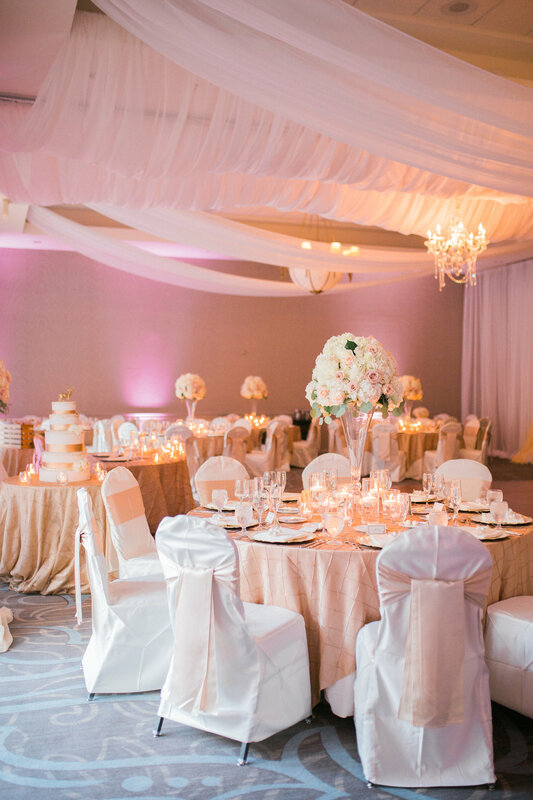 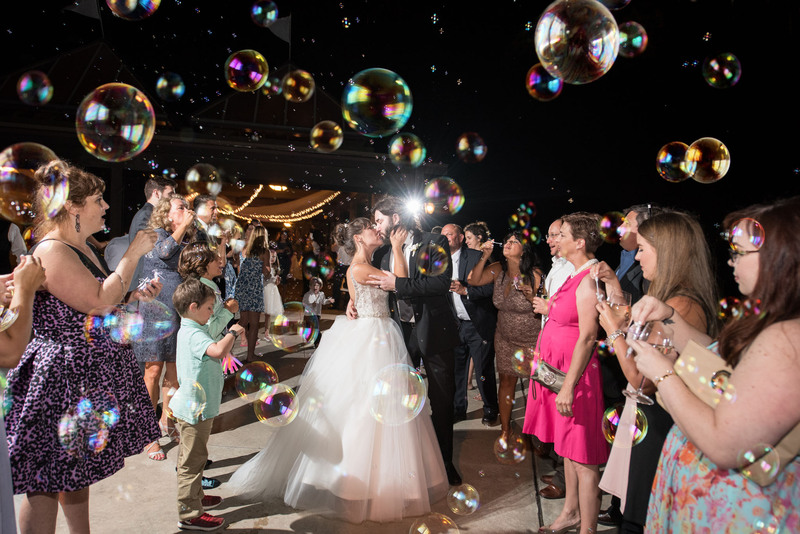 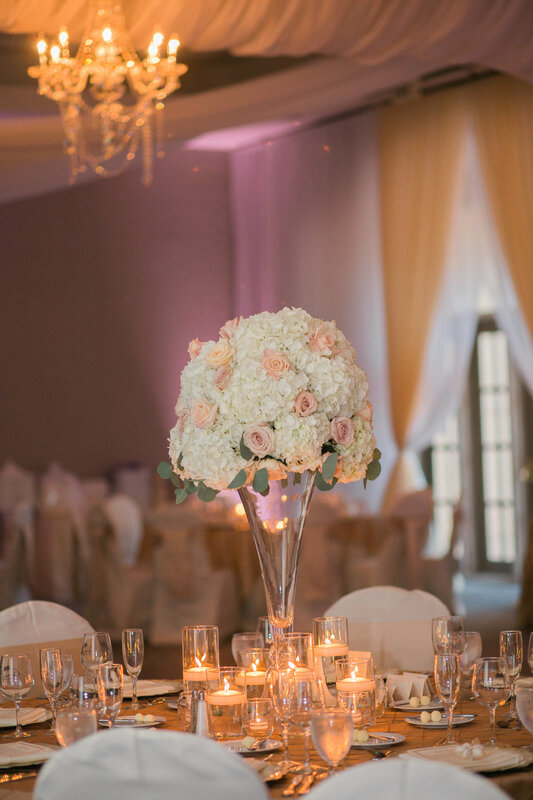 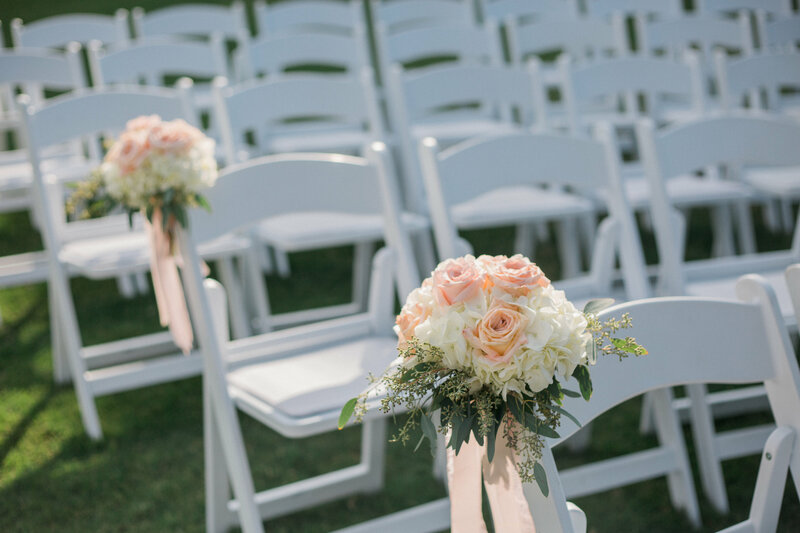 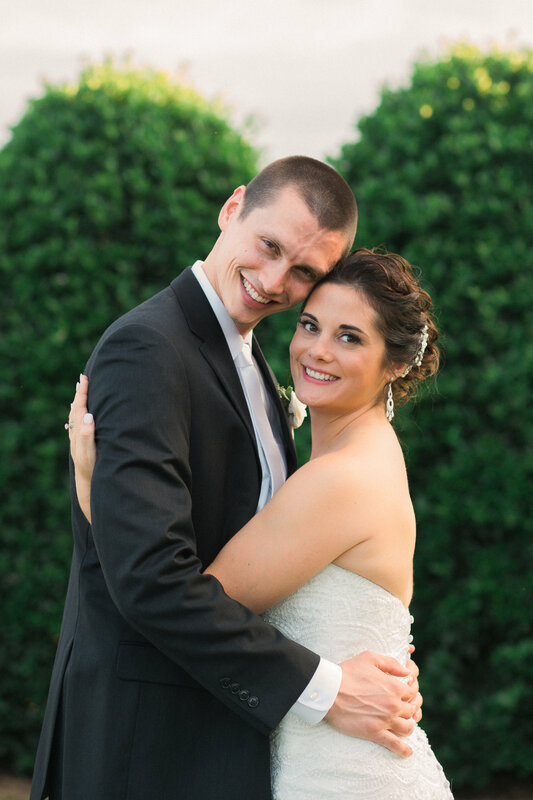 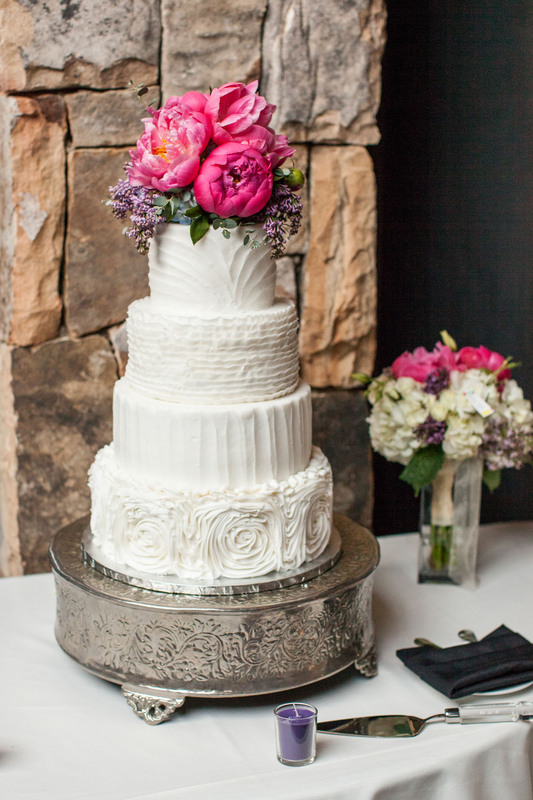 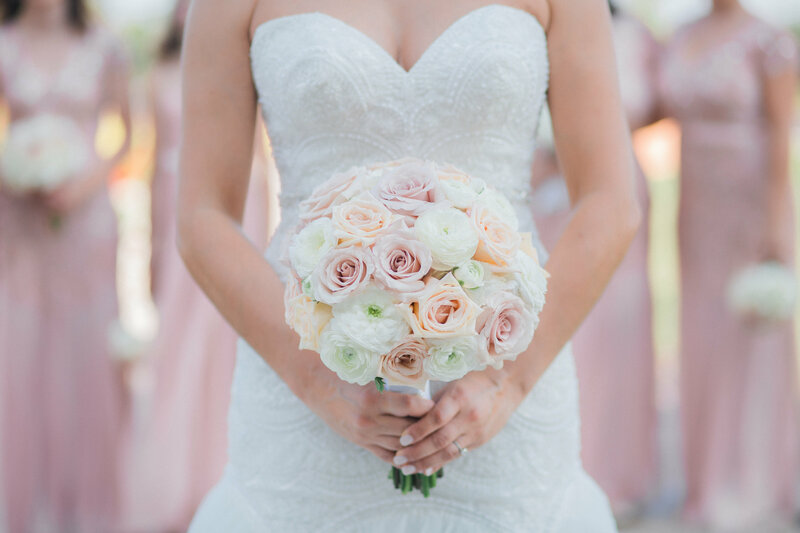 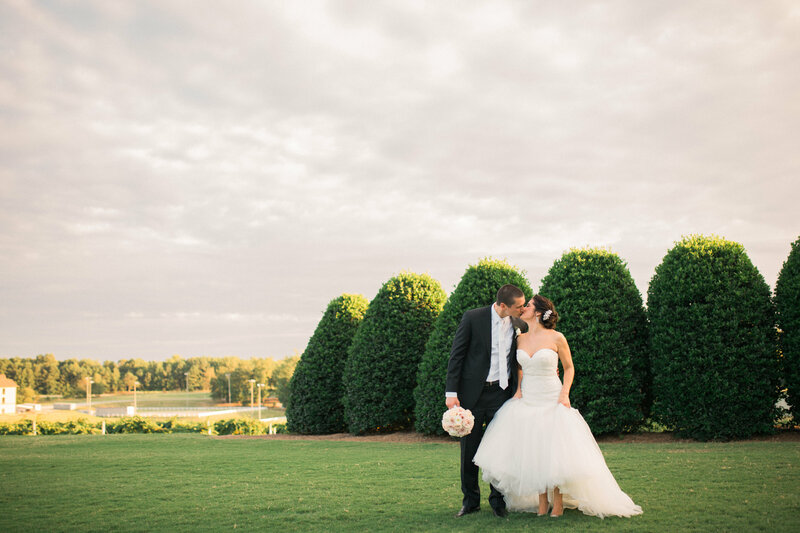 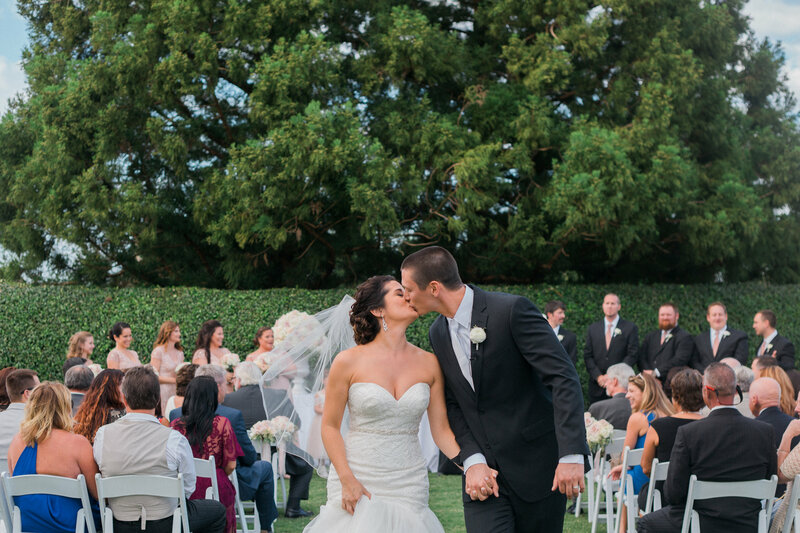 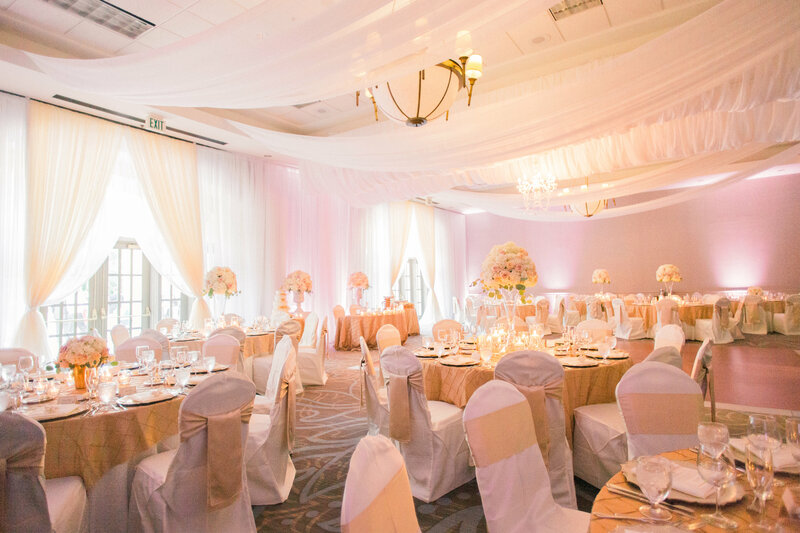 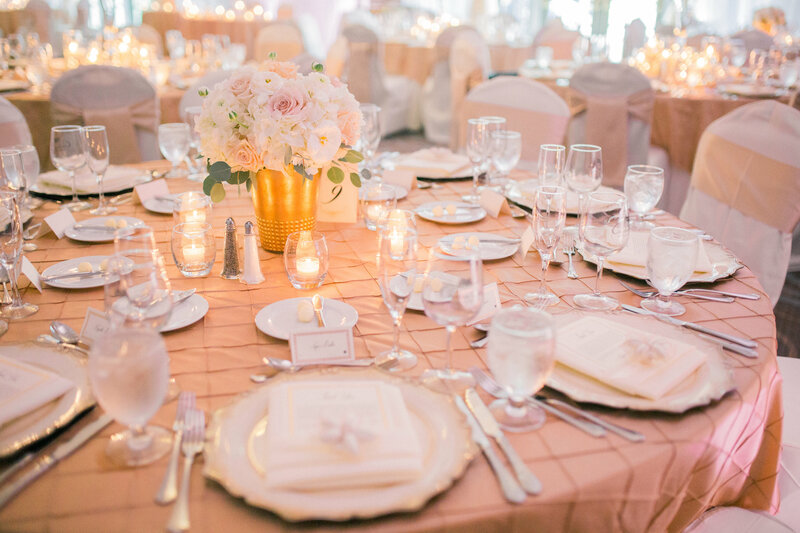 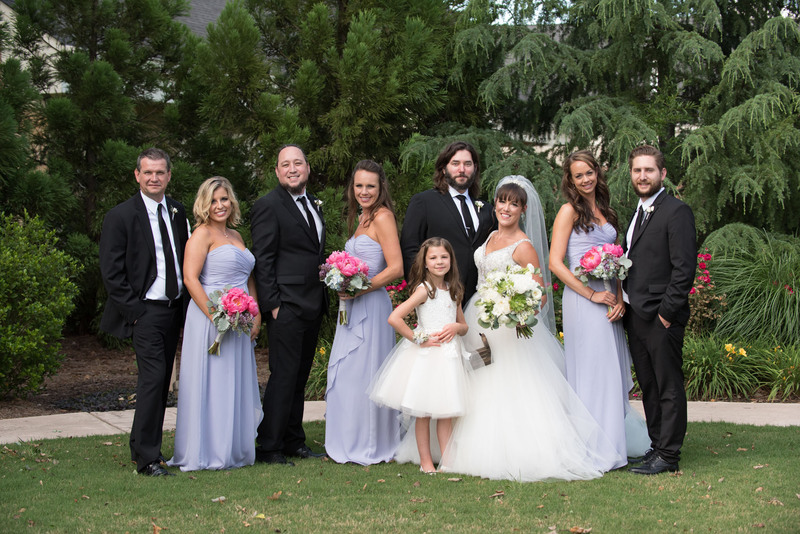 Marina and Luca were married at Good Shepherd Catholic Church with their reception celebration at Lake Lanier Islands Resort, Pineisle Pointe. 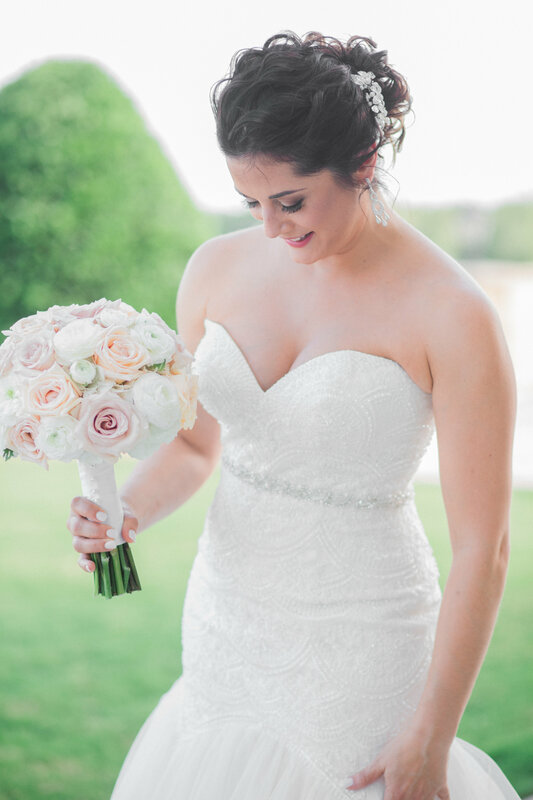 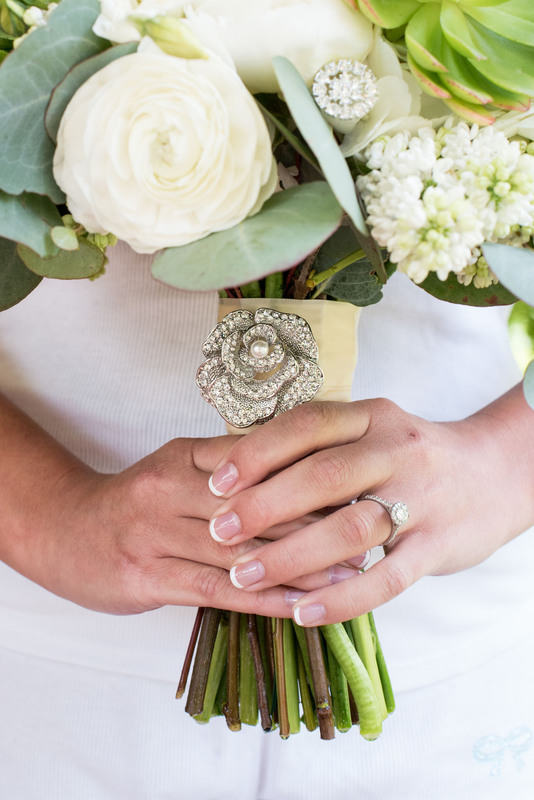 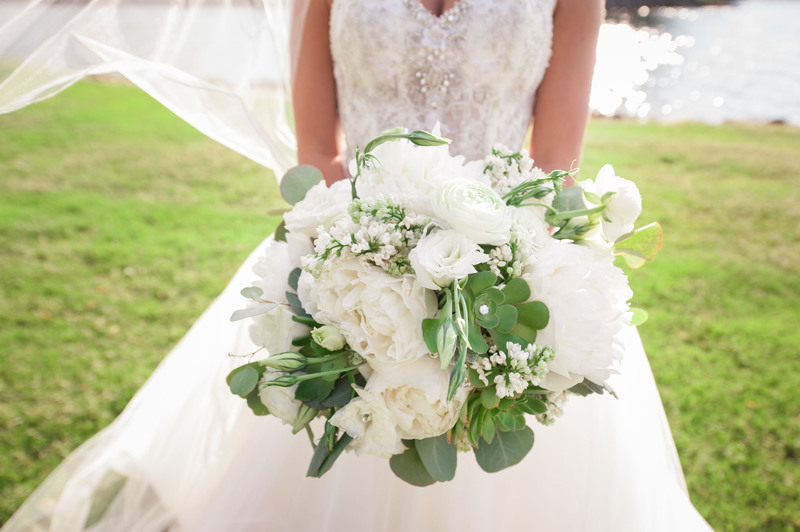 We love our ivory Bridal Bouquet designed with white hydrangeas, white peonies, white spray roses, white lisianthus, white lilac, white ranunculus, succulents, seeded eucalyptus and dusty miller partially wrapped in ivory ribbon adorned with a rhinestone broach. 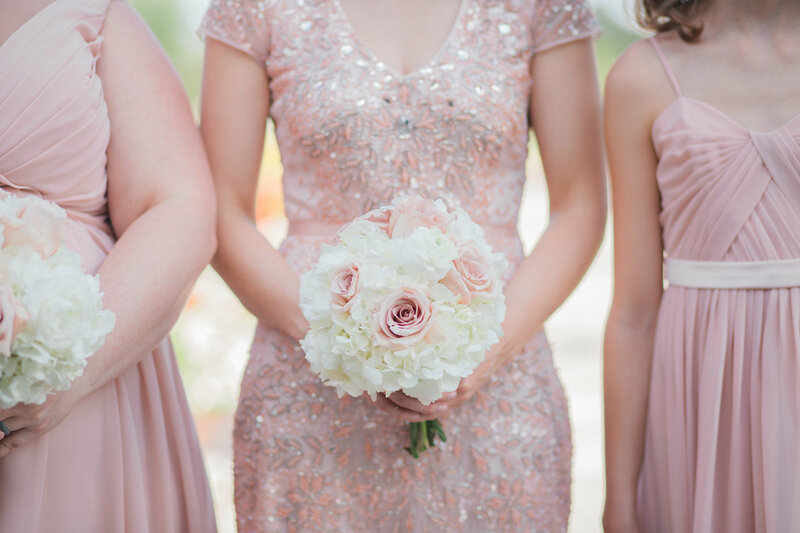 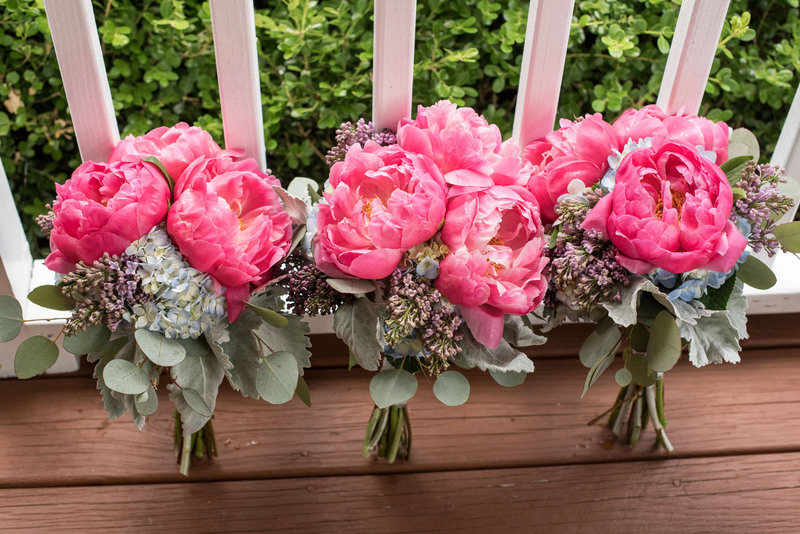 The contrasting Bridesmaid Bouquets were designed with bright Coral peonies and hydrangeas also with seeded eucalyptus. 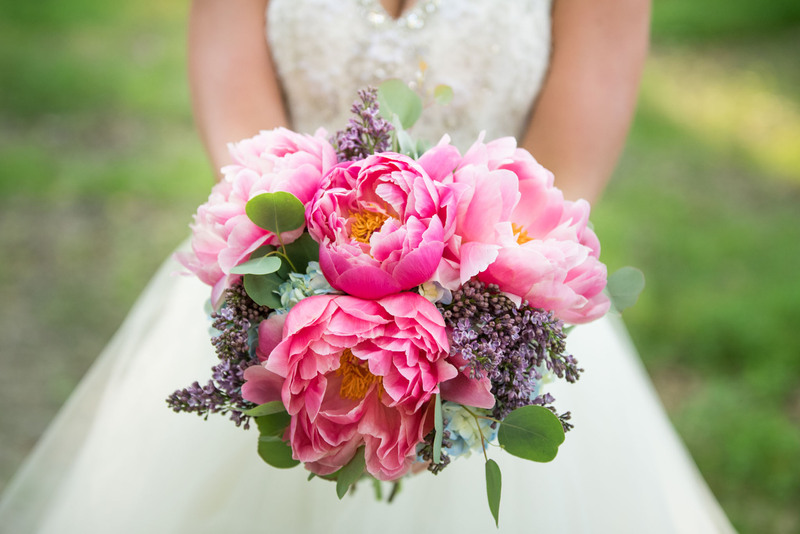 Such a perfect bouquet ensemble complementing the lilac bridesmaid gowns. 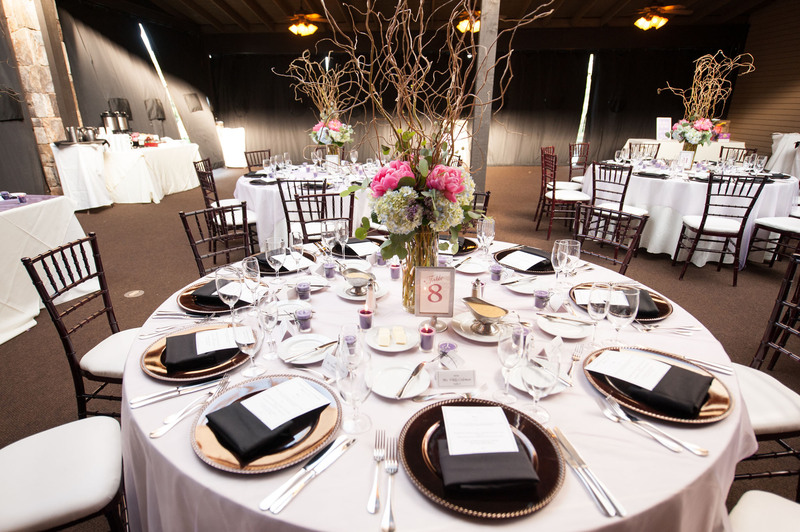 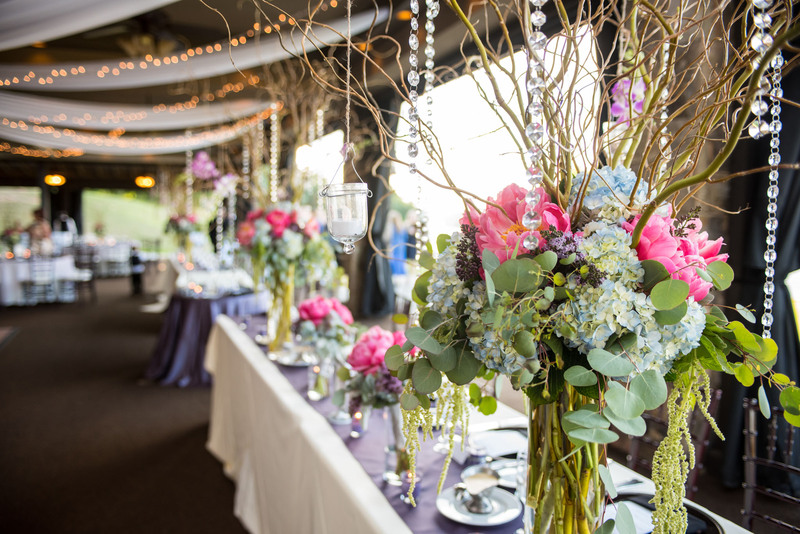 Reception tables of cylinder vases were filled with an abundance of curly willow, a touch of blue hydrangeas, coral peonies, lilac, seeded eucalyptus and hanging amaranthus. 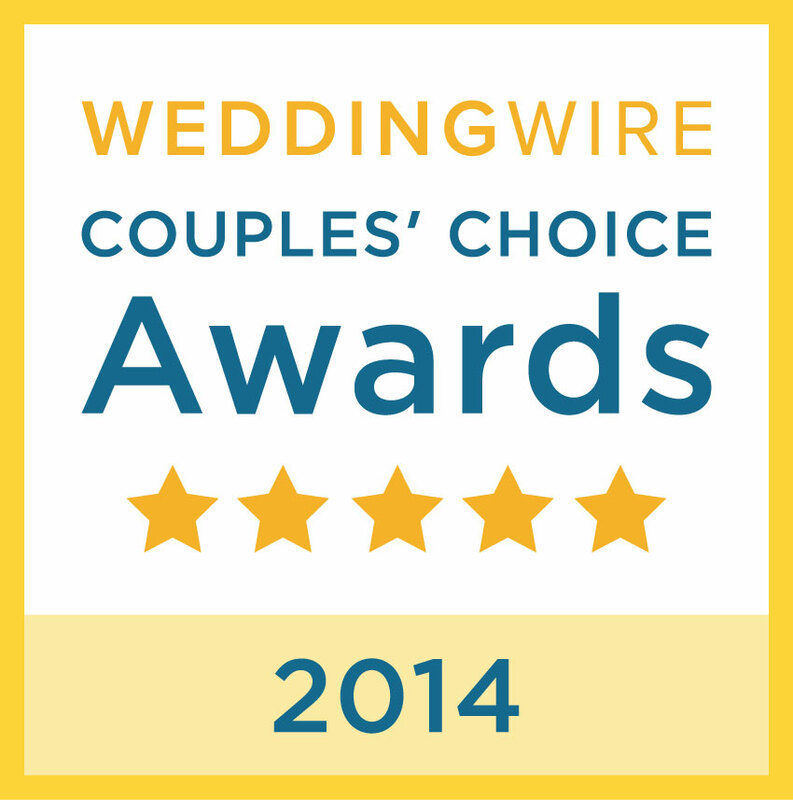 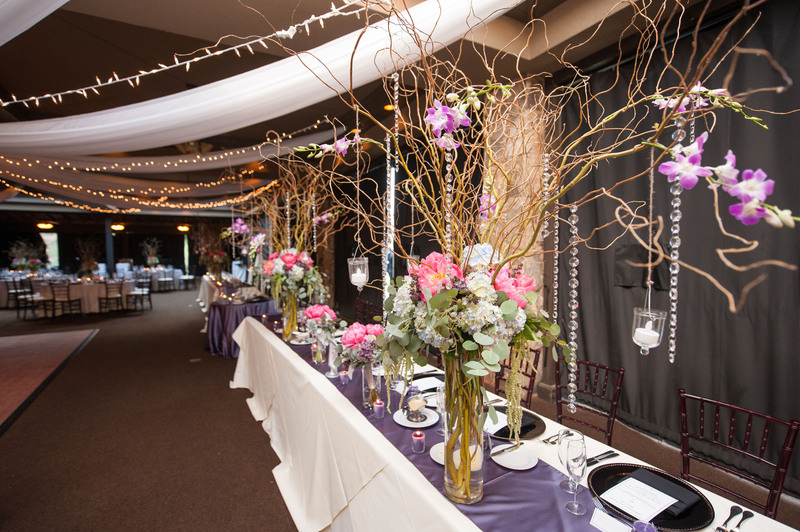 We added hanging crystals, hanging votives, and hanging orchids to the curly willow. 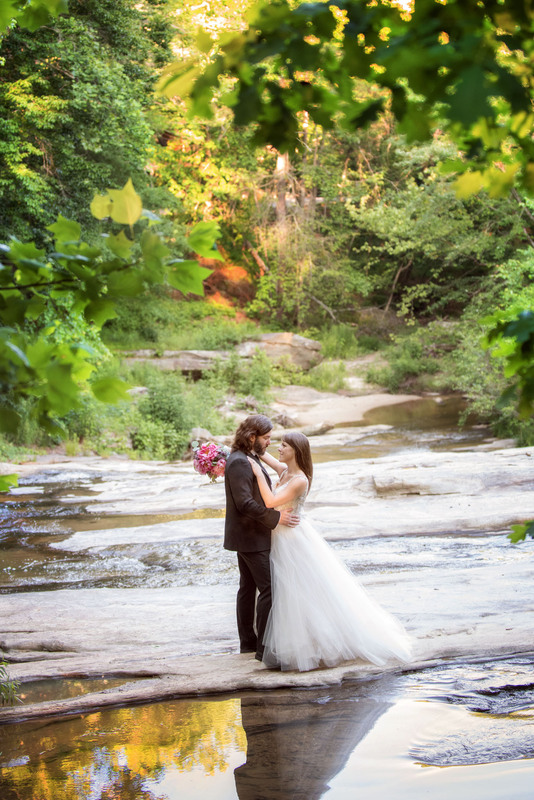 Thank you to Atlanta Photo Studio for these beautiful photos!